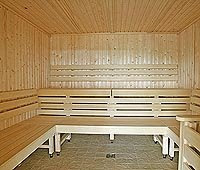 Home / Latest News / The Sauna is Finished!! It’s a small victory in the long battle to get our pool finished but it seems exciting to get one room completed and it’s huge, room for about 10 people at least. Next it’s the gym!